I have a 2477D connected to an LED light over our front porch and it works fine. I am not sure the type here but it works fine. We are moving to a new house (to us) and I plan on taking this dimmer with me. 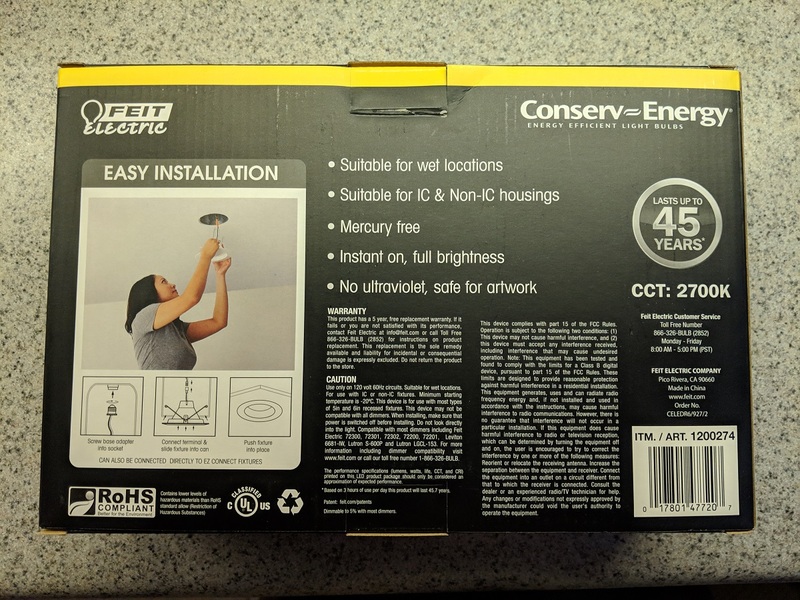 We have 16 recessed can lights I will be replacing with LEDs and plan on using this dimmer for some of those. 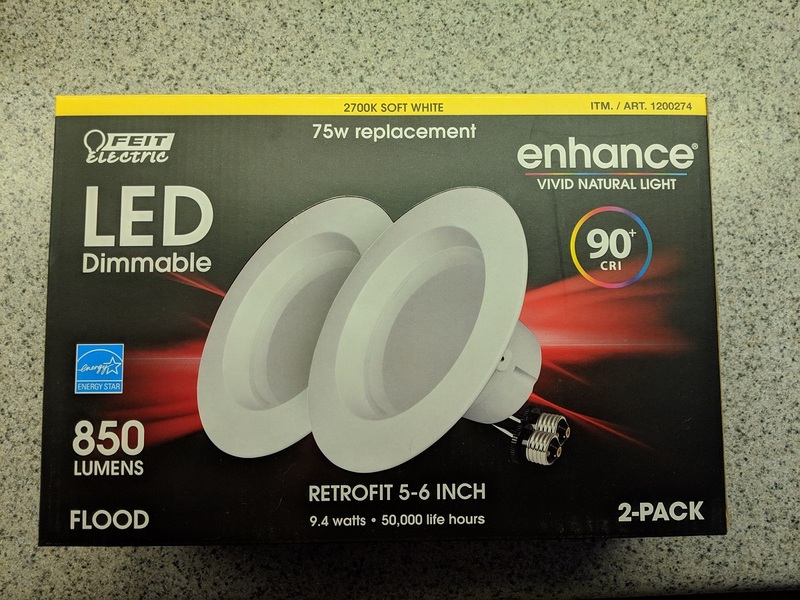 I purchased the attached lights from Costco and tested in the location where the dimmer is currently installed. It works fine with dimming and everything. Yet when I turn it off, the red light on the switch flashes 10 times after it turns off. I spoke with SmartHome and she says the lights need to be "Leading Edge Technology". I cannot find this information anywhere. These LEDs are supposed to be a more economical option over the Cree LED Retrofits. They are about $6 each where the Cree equivalent is about $20 each. At the end of the day there is no money saved if it doesnt work right... I want to purchase what will work. The only thing I see on the packaging is "may not be compatible with all dimmers". I also see a phone number you can call, and that is exactly what I would do. Ask them if these lights work with "leading edge" dimmers. Alternatively, buy one and try it out on your porch light (I still would call them). A flashing red light on the switch means it's not communicating with something that is linked to. I missed the note on the red light. If it happens only when the lights are ON>>>OFF, perhaps the Feit bulbs themselves are causing some interference that affects insteon communication.